Picture a wooden porch swing by a Louisiana bayou. It's the height of the summer season and the hot air is filled with the buzz of midges and grasshoppers. The only way to keep cool is by sipping the refreshing and intoxicating cold green juice of a mint julep. Here is where the similarities between the spirit and the fragrance begin. In both glass and bottle the green herb is fresh, sweet and covered in crushed ice, drenched in inebriating bourbon whiskey and sprinkled with sugar: an absolute feast for the nose and taste. There is a hint of tangerine zest and the subtle aroma of local southern magnolia too. In our mental picture the sun quickly sets in the horizon and just as quickly this Saint Julep turns into a skin scent, slightly weak and short lived but retaining its voodoo magic when smelled up close. One may feel compelled to respray every few hours to allow this beautiful experience to continue as if mind-controlled by naughty playful fairies. A fantastic little potion full of green, sweet, fresh and boozy Mississippi magic. I find Black Afgano a bit too dark and heavy for me to wear comfortably and too sweet at times to remind me of any hash I smoked back in the day but there is still something special about it. It's mysterious and alluring in a rebellious, individualistic, uninviting and troubled kind of way, like looking at old photos of James Morrison or Edith Piaf stained by ashes and the dirty black juice from a bong. The scent is strong –big cannabis, oud and resin notes–, long lasting and not to everyone's taste but it is ideally suited to a particular sombre mood: ominous, pitch black cold winter nights straight out of a horror book when the fragrance can come to life like Dr. Frankenstein's monster. Still, one could say it's not as masculine as Duro, not as wearable as Baraonda and not as pleasant as Pardon... but Black Afgano doesn't really care. The cute little 5ml bottle of Attar AT is the kind of thing you'd expect to buy from the souvenir shop of an oil refinery. The concoction inside it is indeed something special: dark, leathery, animalic... pure tar in all its glorious smelliness. When it comes to performance the small bottle size hints at the kind of power at hand: a couple of drops on the wrists will last for 24 hours or more. This is strong stuff that needs handling with care. 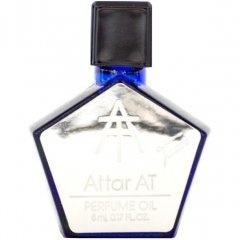 Like many of Tauer perfumes this is a fragrance looking for an experienced nose and certainly not the easiest scent to get started with Andy Tauer's creations, although those who dare unleash the genie in the bottle will be rewarded with a unique and powerful perfume oil. 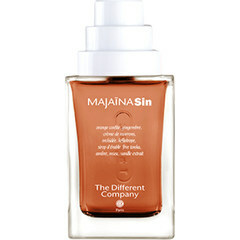 The first few seconds of Majaina Sin are intoxicating with very sweet vanilla, chestnut and a bit of citrus that hint at great things to come. Sadly things take a wrong turn immediately: every new note that makes an appearance –heliotrope, amber, tonka beans– adds a new layer of heavy, powdery sweetness. A few minutes after application the fragrance is full-on feminine gourmand, floral and cloying and just too much for my nose to take. Even as a lover of sweet scents I have to admit this one is not for me. 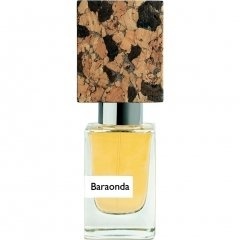 In the hedonistic downward spiral that is the Nasomatto collection –the tempting chocolate of Pardon, the intoxicating hashish of Black Afgano– Baraonda seems to be the chapter dedicated to the old inebriating tipple. Here is a very boozy fragrance that immediately conjures up dark rose petals drenched in liquor resting at the bottom of a whiskey tumbler. There is aromatic ambrette to help numb the senses and some wood to give the scent a sober touch but all these elements are swimming in the realistic, prominent and long lasting whiskey note. This is an unapologetic tribute to an elegant drink and an incredibly beautiful fragrance. I raise my glass to it. It's fresh, fruity, sweet, clean and possibly Montblanc's biggest hit since the advent of the fountain pen. Individuel's raspberry and clean laundry combo has become such a popular scent in recent years that it almost feels wrong to jump on an already crowded bandwagon but it is hard to find anything to dislike about this fragrance. This is a modern smelling juice with enough personality to stand out from the many sweet-but-manly scents in the market these days. Versatility is another factor explaining Individuel's success: it's practically an office safe cologne in small doses and a sweet party beast when sprayed without a care. All in all Individuel smells great, performs well and it's likely to remain a permanent presence in many men's fragrance rotations. Who doesn't love the smell of fresh green peppers in the morning? A lot of people apparently. If one manages to forget about the prominent vegetable for a moment the "gun metal" from the description comes to life: it's the metallic green pepper again combining with the cold freshness of a subtle rose. Slowly other floral notes creep in –jasmine, hyacinth– adding a sweetness that feels at odds with the pepper's bitterness, ultimately bringing this crazy short ride to a disappointingly premature end. There is a lot wrong about this weird and weak green fragrance, and that's why I kind of love it. A wicked love if you will. The first few seconds of Soul Of The Forest paint a vivid picture of water soaked woods after heavy rain. There is dew on the grass, earthy damp soil and wet green leaves keeping this timber themed scent friendly, soft and watery. There is even a sweetness in the air from maple sap dripping onto moist patchouli. Sadly this beautiful image is fleeting. As if the forest floor was hit by sun rays that managed to find their way through the vegetation, the scent quickly evaporates before our eyes bringing the pleasant experience to an early end. One of the most evocative creations from Margiela, but also one of the most short lived.